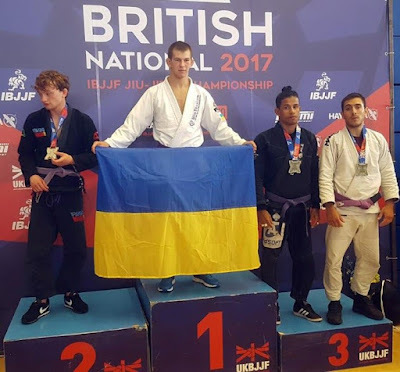 Jiu-jitsu.News: Successful year of the Ukrainian fighters! Successful year of the Ukrainian fighters! Ukrainian Brazilian jiu-jitsu fighters of the SC “Borets” / ZR Team have shown excellent results during 2017. 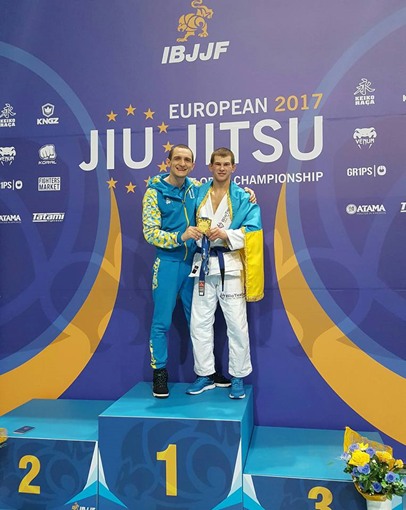 Over the past year, sportsmen visited many international championships where they took numerous medals. 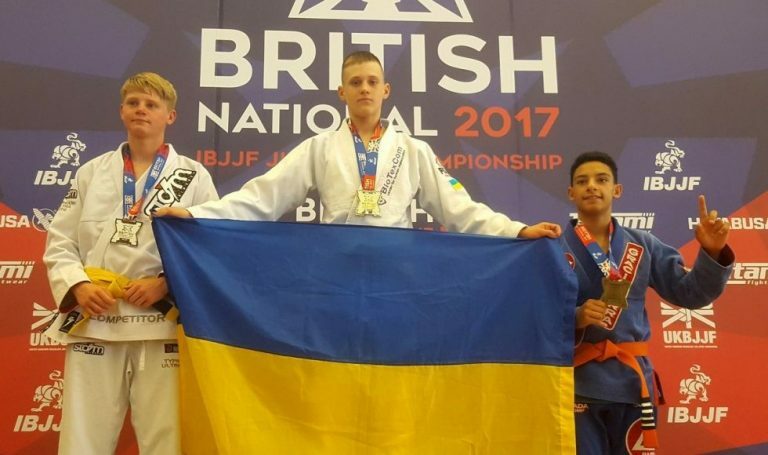 The beginning of 2017 was really successful for Ukrainian fighters! In January Yaroslav Blazhko took part and won at the prestigious “European Jiu-Jitsu Championship 2017”! 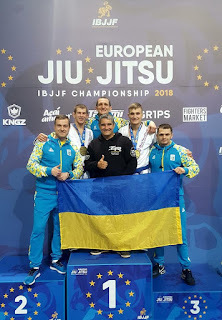 The team from Ukraine returned home from Portugal with gold. In April 2017 there was a trip to the United Arab Emirates where the Ukrainian fighters took part at the “Abu Dhabi World Professional Jiu-Jitsu 2017” and won the first place. Serhii Rusnak and Serhii Krasovskyi came back with gold medals! 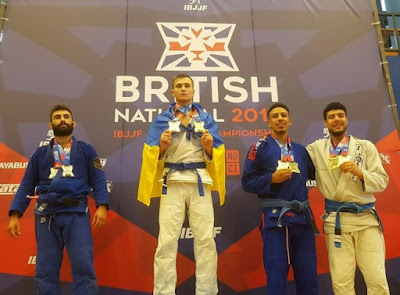 In June 2017 the fighters of the SC “Borets” / ZR Team visited London and took part at the “British National Open 2017” Championship. 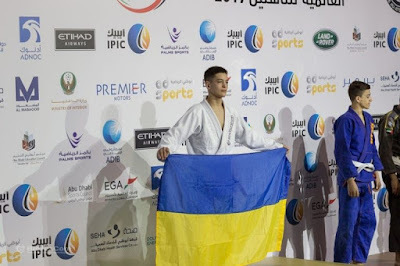 Ukrainian flag three times shone on the first position of the victory podium. September was also very productive for the SC “Borets” / ZR Team. 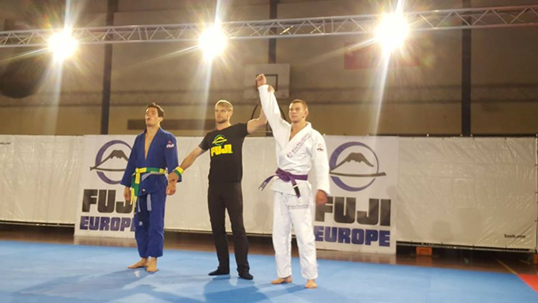 Jaroslav Blazhko took part and reached a semifinal at the “Fuji Europe BJJ Challenge” which took place in the Netherlands. 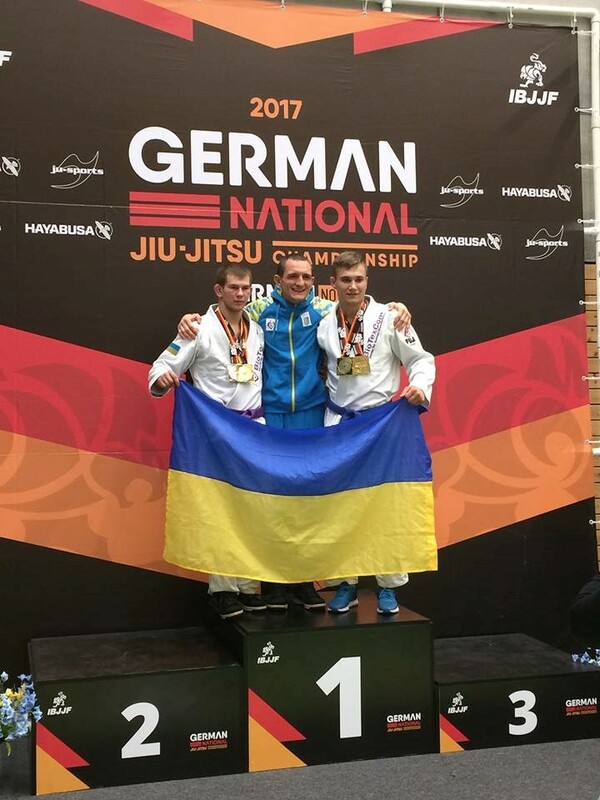 And without losing victory pace, Ukrainian fighters took the gold during the “German National IBJJF Jiu-Jitsu Championship 2017”. 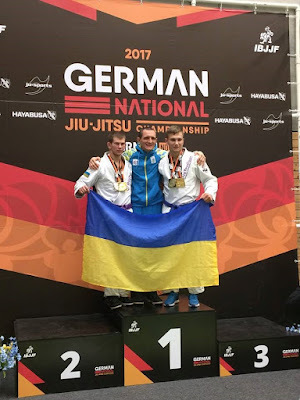 This championship was held in October in Berlin. 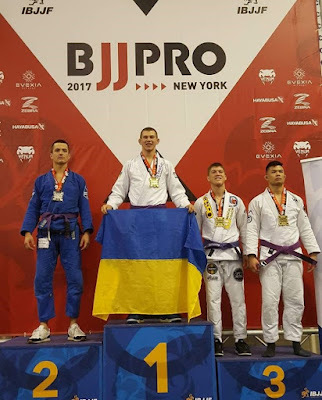 In November, Ukrainians competed in New-York. The fighters took part and won gold at the “New York IBJJF Pro 2017”. 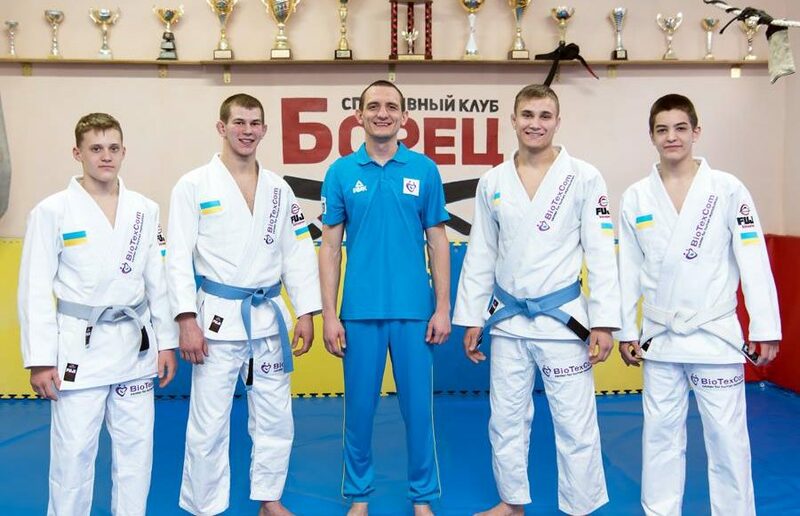 According to the sportsmen and their coach, they have never stay strong in the pursuit of their goals and medals. 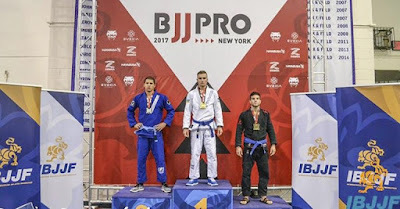 The victories at the prestigious championships persuade them work even harder. In January 2018, three fighters of the SC “Borets” / ZR Team have won winning places during the “European IBJJF Jiu-Jitsu 2018” which traditionally took place in Portugal. Roman Nepota – 1st place, Serhii Krasovskyi – 2nd place, and Yaroslav Blazhko - 3rd place. It should be reminded, that SC “Borets” / ZR Team is sponsored by the powerful medical company. The Centre for Human Reproduction “BioTexCom” provides services to foreign patients from all over the world. 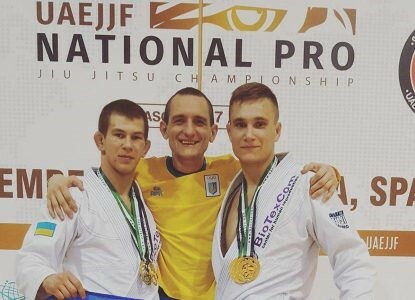 The news that clinic became the sponsor of Brazilian jiu-jitsu club has surprised many people. The connection between reproductive medicine and catch-style was difficult to deduce. However, seeing how both clinic and club are in their glory, it can be said that such sponsorship and community bring benefits for both of them. Young fighters conquered Ukrainian capital! Demian Maia targets retirement date!